For singers and other participants, here’s an outline of what we do, though it may evolve according to the needs of the day. Music. 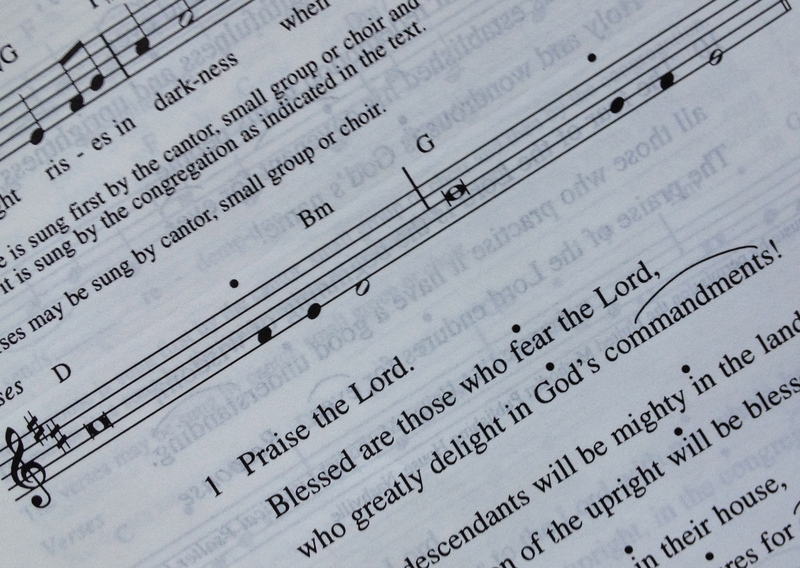 The antiphon response that the people will sing is often in the worship sheet. For the team, cantors or verse singers, it will often be posted in advance in several formats and made available by email, in this blog or the Dropbox folder called ‘SWUC Music’ (apply for access). Sheet music is in .pdf or other form: download and print. Listen to the tune by clicking the .mid, .wav or MP3 version. If you don’t have a music program, please download MuseScore 2 which is free (musescore.org). Then download the .mscz file and listen to the music. If you already have a different program, such as Sibelius, Finale or Noteworthy, you can generally import .mid files. You will have your own way of dipping into the Bible: was it somewhere in the bookshelf? That well-thumbed black one by the bed? Or even an automatic feed to your smart-phone calendar from somewhere like the Vanderbilt lectionary web-site? You should also find the readings on the South Woden web-site. For convenience, there’s usually a link to the text of the psalm in each post, to refer to the verses or ideas therein. NRSV or NIV are common versions but for performance, paraphrase, text and metre may be amended for inclusivity or for musicality in singing the verses. Sometimes a psalm is sung to a tone. This has the advantage that sentences of the text can be any reasonable length, scanned and metrical or not. The TONE is a simple setting of a tune and a few chords to which you can sing any text. It is usually two bars of music notation, no time signature, no words. One bar is provided for each section of a couplet – two lines of blank verse – of the text you wish to sing. Psalteries and other sources may provide both antiphon and tone for each text, or just the antiphon, leaving the singer to choose from many available tones. The tune of the tone is written as a long note at the beginning of the line and (usually) three shorter notes at the end of the line. Each line of words has a cue marker called pointing. The change of notes and harmony is indicated in the text by this cue – a dot, comma or other marker in each line of text, usually before the last three syllables or words which fit the last three notes of the tone. So the words before that cue all go into that long first note. It may be a quite long or short phrase or phrases but is all sung on that one note. Rhythm. This can be a bit tricky. The easiest approach is for one person to sing the tone with or without backing harmony, instruments etc. That way, the singer has full flexibility for rhythmic and other expression, interpreting the text for greatest effect according to the message – the words are always a dominant influence. If it is to be sung by several voices together – either in unison or harmony parts, both of which can be very effective – more preparation time is spent on getting that together. In Gregorian chant, this is facilitated by singing one beat or note value per syllable, with some longer syllables given a double beat from time to time. That can be a bit stiff, however, so in modern usage the cantor or director allows the natural rhythm and meaning of the text to suggest all aspects of the interpretation, running even to a theatrical or dramatic touch if this fits the context of the day. In our hymn book, by the way, multi-syllable words to be sung on one note are given a superscript bracket across the word (see example above). Easier than neumes I assure you. The Psalm Team has no walls, user ID or password. Please take part when you can, to help shape and enrich our worship experience. Your presence will be appreciated and I’m sure you will gain from this small act of service. Worship coordinators, leaders and participants can find some forward planning suggestions in ‘SWUC Music/Psalm selection plan’ on Dropbox (ask). Psalm responses we have used while following the lectionary are in the Dropbox folder ‘SWUC Music/Library archive’.